But Trump said he had no regrets suggesting that Cruz's father was involved in the assassination of President John F. Kennedy. 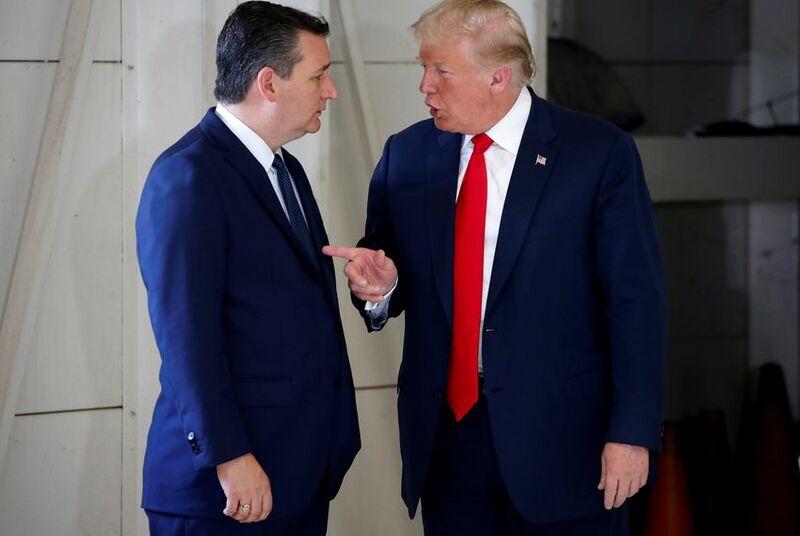 Before departing the White House to campaign with U.S. Sen. Ted Cruz in Houston, President Donald Trump reiterated that he and Cruz had buried the hatchet since their bruising 2016 presidential primary race. In fact, Trump said he has a new nickname for the Republican senator: "To me, he's not Lyin' Ted anymore. He's Beautiful Ted. He's Texas — I call him Texas Ted." Trump and Cruz will both appear on stage at the Toyota Center in downtown Houston on Monday, the first day of early voting in Texas. Trump acknowledged that the two had run a "tough campaign" against each other in 2016. But they have since worked together and "I actually like him a lot," Trump said. "He's a very smart guy," Trump said while standing in front of a helicopter on the White House lawn. "He loves the people of Texas — which I do too." Asked Monday whether he regretted the suggestion about Cruz's father, Trump reportedly told a CNN reporter, "I regret nothing." But Trump focused his ire Monday on Cruz's opponent this November, U.S. Rep. Beto O'Rourke, D-El Paso, who has gained national attention in recent months. Polls show O'Rourke is running a closer-than-expected race for a Democrat in a statewide election, with several polls showing him within single digits of Cruz. "I think Beto O'Rourke is overrated," Trump said. "When I heard about him I thought he must be something special; he’s not. I think he got beaten badly in the debates. I think he is a highly overrated guy."